Keeping with some history about all-things-Disney, the documentary Frank and Ollie debuted at the Sundance Film Festival on this day in 1995. It was released in October that year in Los Angeles for Academy Award consideration. 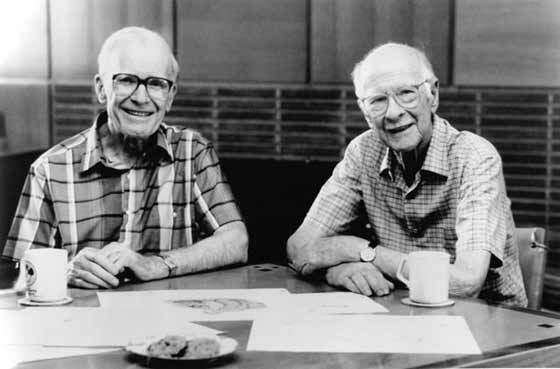 The film primarily consists of Frank Thomas and Ollie Johnston’s anecdotes of their careers as animators during their long tenure at Walt Disney Studios, beginning with their hiring a couple of years before the release of Snow White and the Seven Dwarfs. 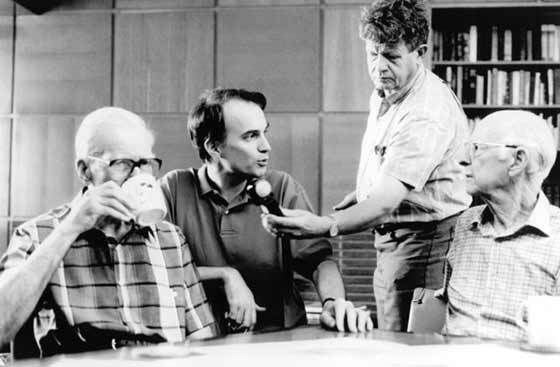 They talk about the successes and difficulties of the Walt Disney studios throughout their careers, including the production of Disney’s early works such as Pinocchio and Fantasia, decrease in business due to World War II, the unexpected death of Walt Disney in 1966, and the importance of The Jungle Book’s success in 1967. These anecdotes are punctuated by archival footage from various Disney films, as well as interviews with contemporary Disney animators, animation historians, and interviews with Frank and Ollie’s wives. The film is a great insight into these two Disney Legends and was directed by Theodore Thomas, Frank’s son. If you haven’t seen it and enjoy Disney history, this is a great walk down memory lane with some of Disney’s brightest stars.